If I had to describe Malay food, I'd say it's characterised by bold flavours with lots of spice; by being quite rich and a little oily; and obviously containing no pork or alcohol. We don't seem to have lots of Malay Malaysians here in Australia, (most migrants from Malaysia seem to be, like me, of Chinese background), so it can be really hard to get delicious, authentic Malay food. Most often, when you get Malay food here, it's cooked by a Malaysian-Chinese chef in a restaurant that serves pan-Malaysian food (e.g. Old Town Kopitiam, Cinta Ria etc). And whilst lots of them do a good job, you can't beat native food cooked on its home turf! Yup, back to Devi's corner! Whilst Devi's is an Indian establishment, at nights they have a Malay satay stall with both ayam (chicken) and mutton (kambing) satay. Super sedap! 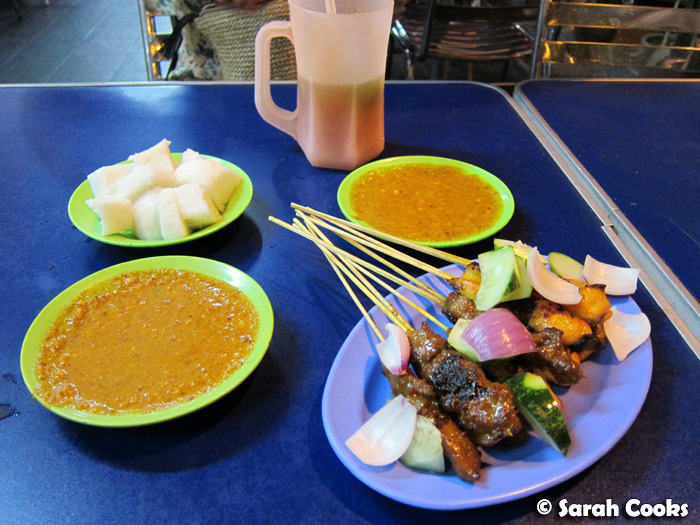 I hadn't tried mutton satay before, but I really liked it - the caramelized, charred bits of fat were especially good. I never, ever eat satay in Australia, as it's just too disappointing here. Malaysian restaurants in Australia don't seem to grill their satay on charcoal, which is absolutely essential for the fab smoky flavour. 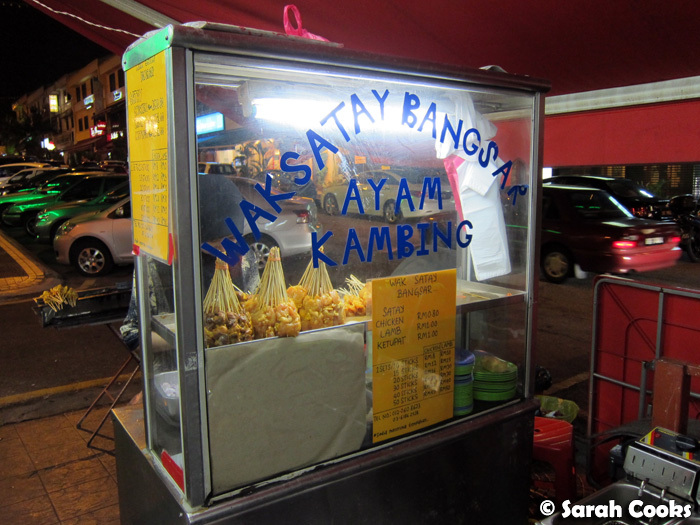 I'm told that many restaurants here actually deep-fry their satay, which gives a totally different effect. No thanks! 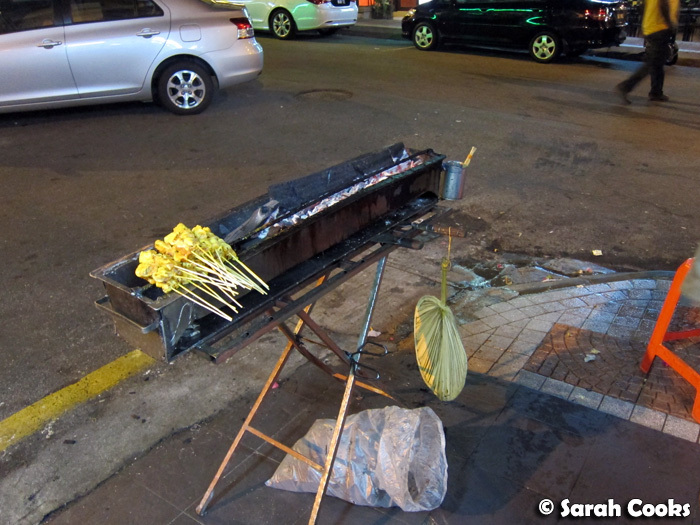 In fact, the last time I had satay was seven years ago, also in Kuala Lumpur, with my aunty and cousins who called the satay man around to their place! (Blogged here). Madam Kwan's do a good ice tea - they serve it unsweetened, with a little jug of sugar syrup on the side to add to your taste. Great idea! 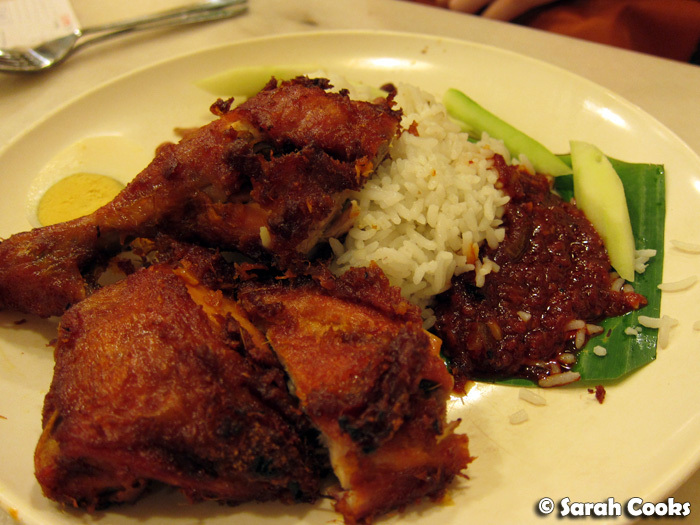 Nasi Bojari is one of Madam Kwan's specialties. I'd never heard of it before, and after a little internet research, I've learned that it's an adaptation of an Indonesian dish. 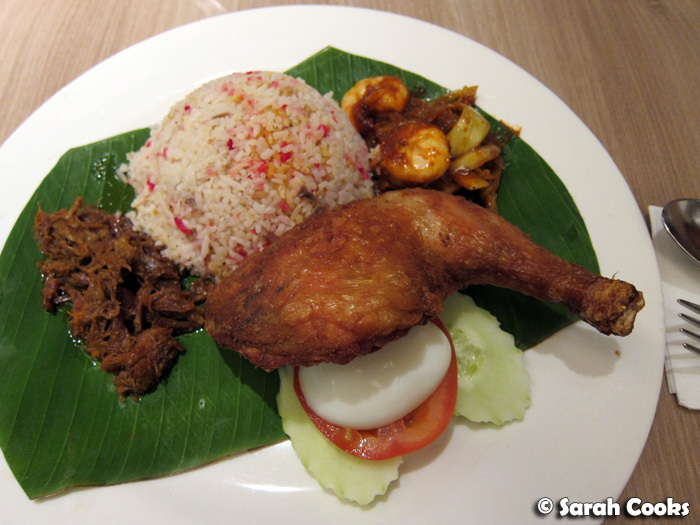 Here, the rice is spiced, and served with assam prawns, beef rendang and a deep-fried chicken maryland. I absolutely loved it! The chicken was juicy on the inside and addictively crispy on the outside. 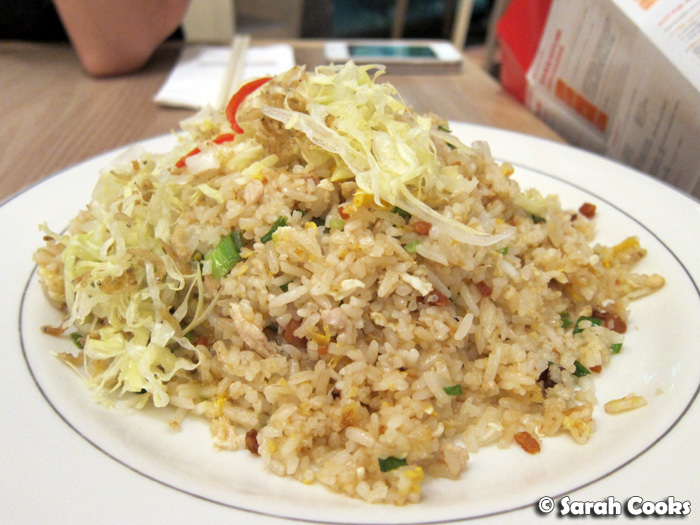 The other two dishes we ordered were simple Chinese fried rice/noodle dishes, both done well, with the distinctive wok hei taste that you want from your stir-fried dishes. 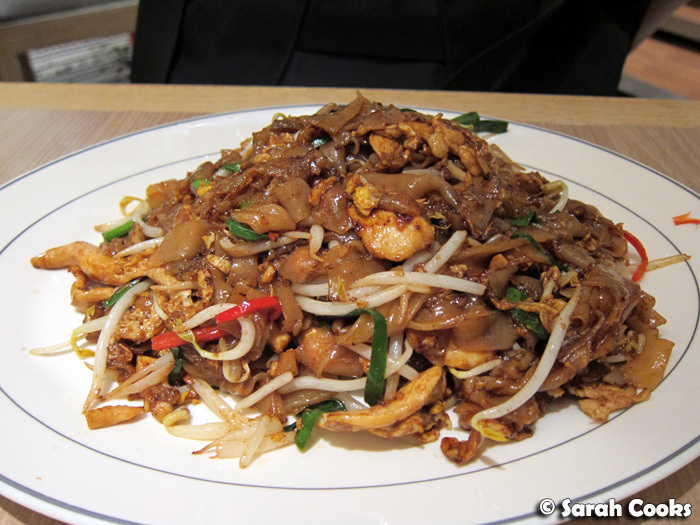 They happily adapted the char kway teow for our non-seafood eater. This wasn't quite as good as hawker stall char kway teow, but still a satisfying lunch. 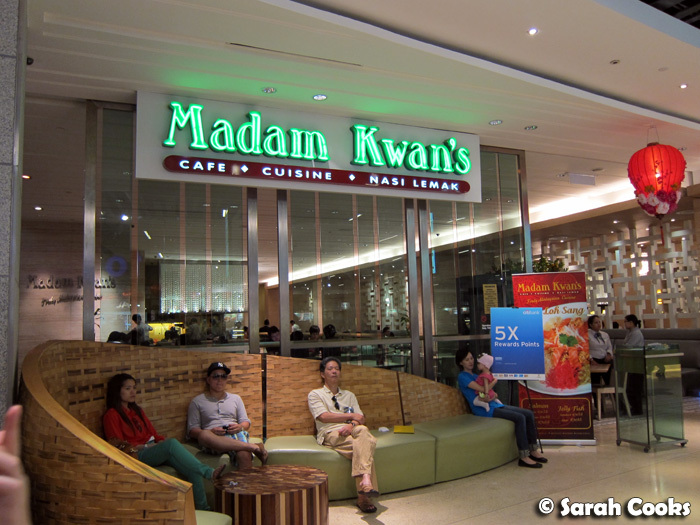 It's interesting to note that Madam Kwan's is very expensive compared to hawker stalls - their char kway teow is RM16.80, whereas a hawker would only charge about RM3. There seems to be a massive price differential between hawkers, casual restaurants and upmarket restaurants in Malaysia - I imagine that the rental, staff and infrastructure (crockery, interior design, printed menus etc.) for a "proper" restaurant must be very expensive. As an Australian benefiting from the excellent exchange rate, all the food was cheap for me (lucky! ), but I did wonder how the locals manage it. This was so good! You can see how fried the fried chicken is. I think it must be marinated in spices, as the chicken itself is so crispy, juicy and tasty! The sambal was also satisfyingly hot and spicy. For those not in the mood for fried food (really, that happens? 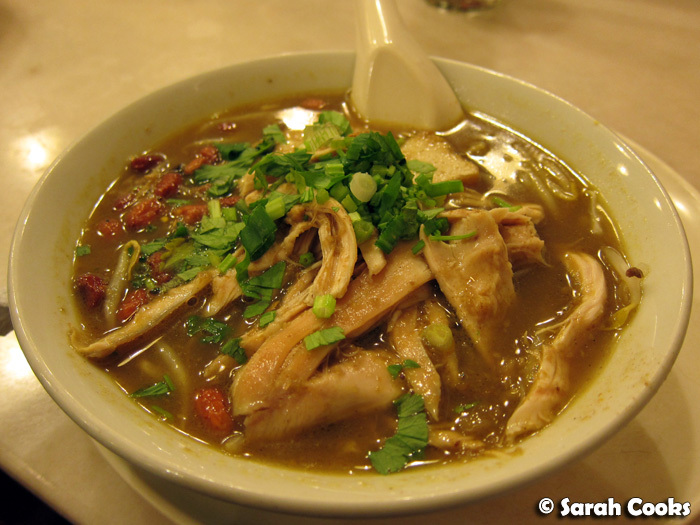 ), and after something altogether more restorative, the soto ayam (chicken soup) is a good choice. Look how rich that stock looks! Yum yum. I ordered my new favourite drink: Neslo. 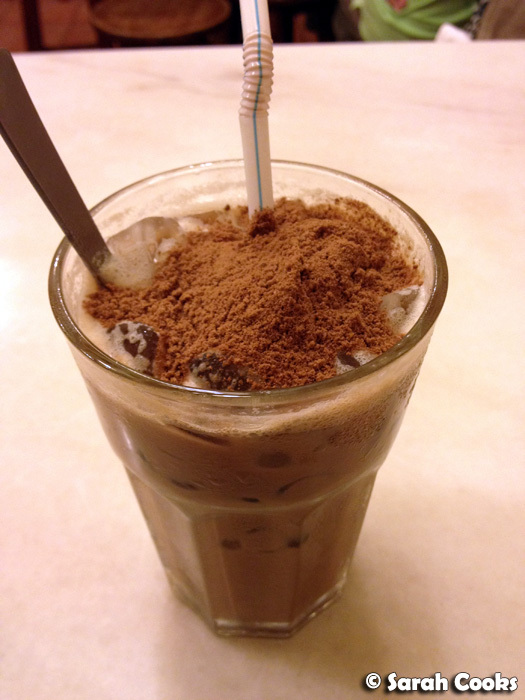 Otherwise known as a Malaysian Mocha, this is a mix of Milo and Nescafé. It sounds like it could be gross, but is actually super-delicious! (I asked for extra Lo on my Neslo, hehe). To finish up, we shared a kaya toast. According to the friends with whom I ate, it wasn't as good as usual, but I found it pretty tasty nonetheless! 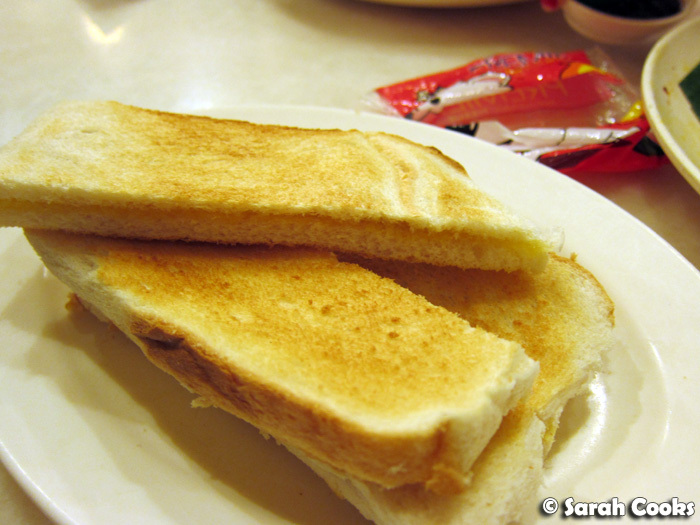 Speaking of which, we had heaps of kaya toast in KL, which will be coming up in my next post! 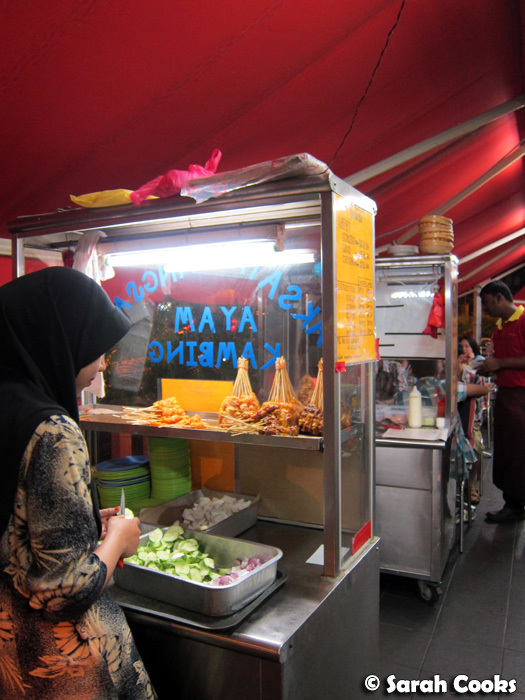 This is the second post from my series: 2012 Trip to Kuala Lumpur.